We will sculpt your doll to look like the photos you provide to us. 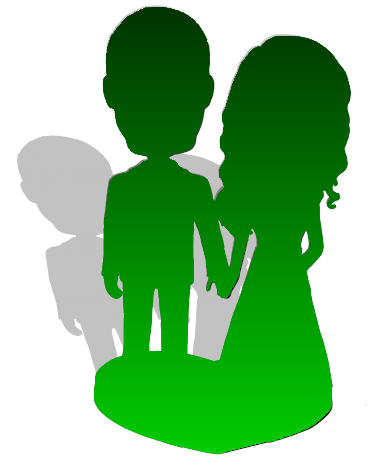 In the full head to toe couple design, you can choose the pose you would like as well as the type of clothing. We offer options within this order form to allow you to add accessories if desired.